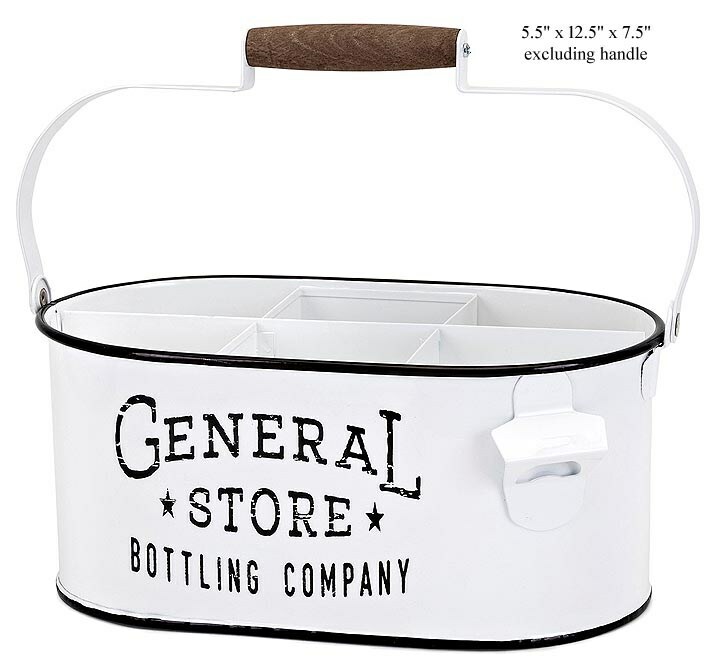 General Store Caddy/Tote - 12.5"
This bottle caddy features a handle and a white enamel finish. 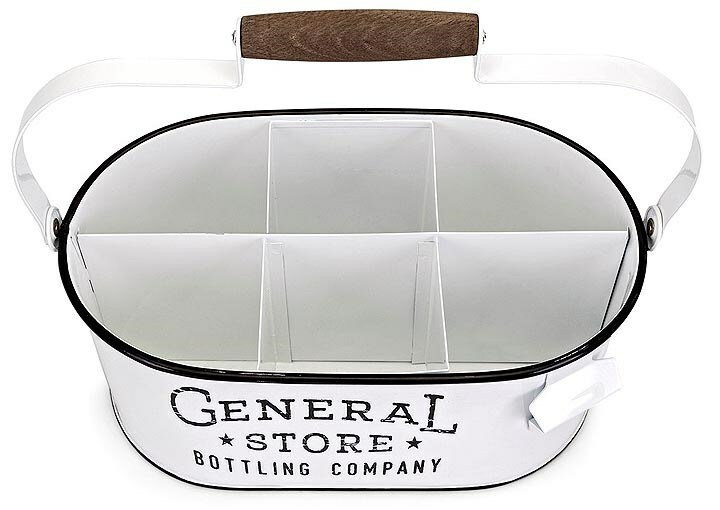 With type on the side that reads "General Store Bottling Company," this piece adds country charm to any setting. For decorative use only. Rise and Shine Pitcher - 12"
This iron pitcher Pitcher features a handle, lid, and a white enamel finish. The type on the side reads "Rise and Shine" and together with a little rooster graphic, this piece adds farmhouse charm to any setting. For decorative use only. Farm Dairy Container - 19"
This dairy container features a lid with chain, two handles and a white enamel finish. With a graphic on side that reads "Farm Fresh" with the image of a cow, this piece adds farmhouse charm to any setting. For decorative use only. Enamel Farm Pitcher - 14"
Metalware with an 'enamel' finish. Enamel Farm Pitcher - 10.25"